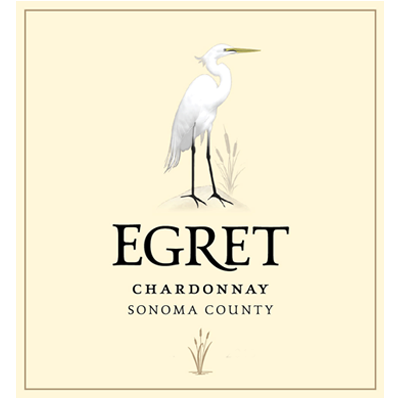 This Egret Chardonnay is made from grapes grown from select vineyards in Sonoma County including the Bonneau Vineyard in Carneros. Most of this wine was tank fermented and aged and about 25% was barrel aged. The lees were stirred regularly to enhance flavor and richness. Our Chardonnay shows flavors of pineapple, apricot, peach & citrus. There is a deep Chardonnay varietal character that refreshes the palate and leads to a bright, zesty finish. Enjoy this wine with creamy cheeses and fruit as well as light pasta, spicy seafood & poultry or just enjoy as a refreshing beverage.